deSIGNery Sign Company is a supplier of high quality screen printed Custom Reflective Decals and Stickers. If you are looking for a durable, long lasting vibrant color and exposure to the weather are a concern, always look to the deSIGNery for that Quality Screen-Printed Reflective decal using UV inks and quality reflective material. Check out our Spring Sale for savings on Custom Printed White Reflective Decals and Reflective Stickers in the following link. 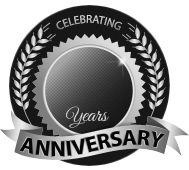 BBB Member since 2004 with a proven record of complaint free customer satisfaction on items like Custom Printed White Reflective Decals. Click on the BBB logo above to check our record or leave a customer review. If you are in the market for Reflective Stickers, give us a call today and you will soon realize why after 24 years we still have an A+ BBB rating! At deSIGNerySigns.com we have more than 24 years experience in designs for our Reflective Stickers. Call us today and let our design specialists help create your next project to promote your product or business. FREE Shipping on all decal and sticker products | Free layout | A+ BBB rating | 24 years in the business | Call Today for a free quote on Reflective Stickers. Reflective Stickers are supplied with pressure-sensitive, permanent, acrylic adhesive. 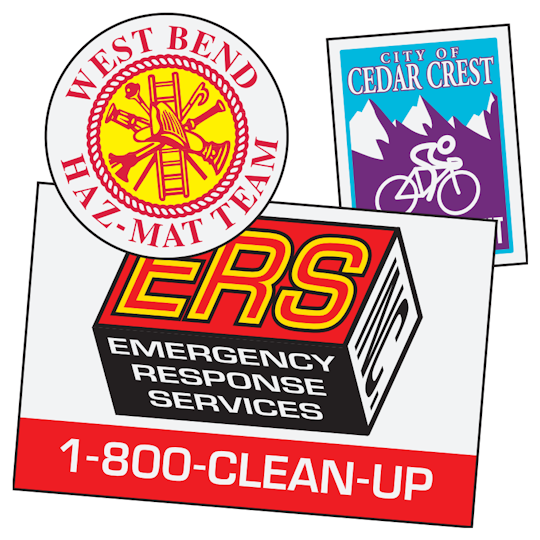 Custom reflective Stickers with size larger than 1" x 1" are furnished with split backing for easy application. Reflective decals are designed for nighttime visibility! There is now limit to the many uses for custom screen-printed reflective vinyl decals (stickers). If you own a business and have company vehicles, trucks or emergency equipment out during the night hours, make it stand out with custom reflective decals. We have sold to companies like: police departments, city water departments, electric companies, refuse pickup companies, mining corporations for hard hats and equipment, first responders for vehicle identification. Custom reflective stickers are great for business that need to direct traffic during night time hours in parking lots. There is just no limit to the vast uses of reflective material. 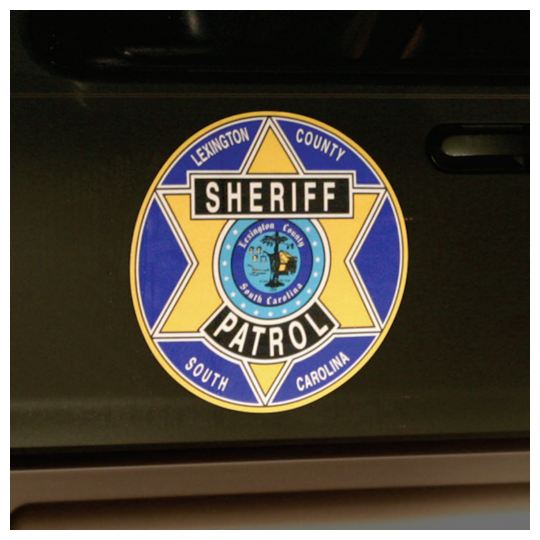 The above image is an example of die-cut custom reflective decals that we can produce for your local police department or any other business needs. They look great on any color vehicle or equipment. Click on the price icon above for prices on die charges for your next professionally looking project.